Os grid reference SO9896 9847. The ancient spring known as Lyd Well, Lydwell and sometimes the Roman Well is located in the corner of a field between the A433 (Tetbury road) and the A429 (Crudwell-Malmesbury road) about half a mile north of Kemble village. It is a short distance south of the old disused Thames and Severn canal, beside an area of trees and bushes and an old wind-pump. The name ‘Lyd’ is Old English and means ‘loud well’. In the dry, summer months it is difficult to find, but in a long wet spell of weather it is in full flow. This is now considered by historians to be the source of the river Thames, rather than at Thames Head 1 mile to the north-west where the water has given up the ghost and where all there is to be seen today is a small circle of stones on the ground and a hidden stone gulley close by. 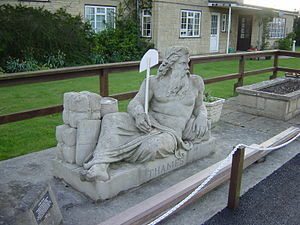 Even the reclining statue of ‘Old Father Thames’ had to be re-located from Thames Head to St John’s lock at Lechlade due to vandalism, in 1974; and a bit further north-west is Seven Springs on the river Chun, another possible source of the Thames? with at least 5 of the springs still evidently flowing into a large 8 foot-high stone-built pool. Here a latin inscription on a stone tablet claims that this is the actual true source: HIC TUUS O TAMESINE PATER SEPTEMGEMINUS FONS. The other problem being that there are several springs in this particular area just to add to the confusion, some of these are said to be at least 14 foot deep, and even as much as 30 feet deep in some cases. Cirencester (Corinium Dobunnorvum) Roman town and the Fosse Way are another 3 miles due north-east of Lyd Well and, so the theory is that Roman soldiers would have known this spring and may have even placed offerings into the water; certainly they would have drank of the once clear, cold water after a long march along the nearby Roman road, a short section of the Fosse Way linking up with Exeter (Isca Dumnoniorum) in the south-west of England and running in a north-easterly direction towards Lincoln (Lindum), which is now the section of the A433 road between Kemble Airfield and Cirencester. A number of objects of Roman antiquity have been found in the Thames. 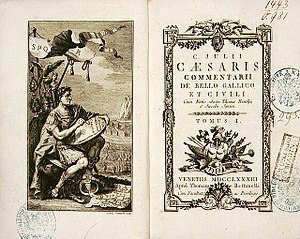 To the Romans the river was referred to as Tamesa or Tamesis – this being the first recorded account in ‘Commentarii De Bello Gallico’ the written work of Julius Caesar’s exploits in Britain in the early days of the Roman Empire (55-54 BC). But in the Celtic Age the river was probably a derivative name for Tame and Isis (Tameisis) old pagan gods or a single river divinity of myth and legend. The first ‘real’ record of Lyd Well comes from ‘The Doomsday Book‘ of 1086 AD. The spring called Lyd Well emerges from a large circular hole covered with an iron grate and flows out into an even larger stone-lined pool which is often overflowing or ‘positively gushing’ with water; the quickly flowing water then heads along a water course that gradually gets more and more noticeably like a stream and, after some miles forming something more like a river in one’s eyes towards Cricklade. In wet weather the gushing, thundering water is quite forceful and very loud – hence the name Lyd Well. Long ago the water was clear and, probably drinkable, but this is not the case today and it’s “not” advisable to drink it. I don’t know whether the water ever had any healing qualities, apart from being cold and crystal clear to drink when one was very thirsty – maybe up until the 17th century or earlier than that at least. In the 16th century John Leland the noted royal antiquarian came to view the sources of the Thames and, later in the late 18th century William Combe also viewed these river sources and wrote about them in his celebrated work ‘History of the Pricipal Rivers of Great Britain’ (1794). No doubt other notary people from the last two hundred years or so have also tried to find the true source of the river Thames. Prichard, Mari & Carpenter, Humphrey., A Thames Companion, (2nd edition), Oxford University Press, Oxford, 1981. Combe, William., History of the Principal Rivers of Great Britain, John & Josiah Boydell, London, 1794. Categories: Holy Wells / Springs | Tags: Lyd Well at Kemble in Gloucestershire, Source of the River Thames at Lyd Well in Gloucestershire | Permalink.